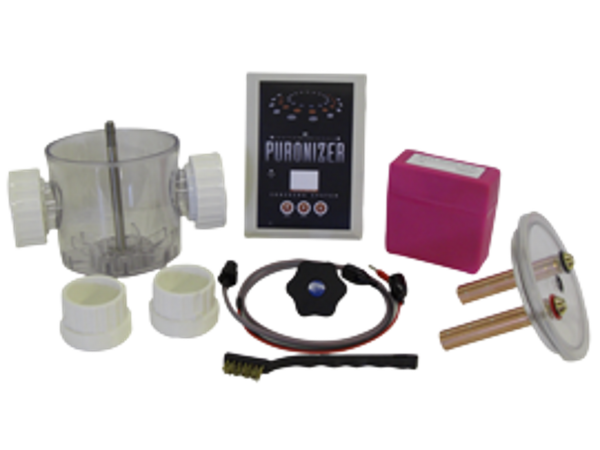 The Puronizer system is a British manufactured ioniser for use in swimming pools. 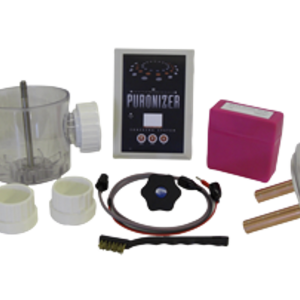 The Puronizer system brings to the pool owner a simple to use method of ensuring quality water with very little effort and no algae. 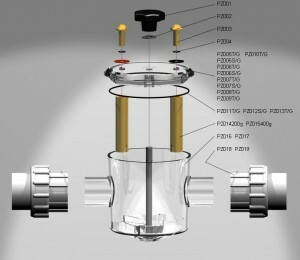 From installation, the Puronizer works totally silently. As your pool water passes through the in line cell unit, copper and silver ions are released killing bacteria and algae. Over 2,000 years ago the Ancient Greeks found that algae did not grow in water stored in copper containers. They also discovered that it seemed to purify drinking water. It was not until the nineteenth century that the reasons were understood, and the process was established commercially. If a member of your family suffers from a skin allergy from chlorine or is asthmatic or you find chlorine effects you, then the Puronizer under set conditions can allow free chlorine to be reduced to 0.3ppm/mg/l. If you are away from home a lot or have a holiday home overseas a Puronizer ensures that when you return the water is just as clear and free of algae as when you left. With over two decades of successful sales across the globe you can be assured your investment will give you years of service.